No one is exempt from the struggles and trials in this life. I know that it is tough when you walk with someone through a struggle, but it gets more difficult when you have to walk through that struggle. It seems like this past week was filled with one thing after another. If it wasn’t something with the church, it had to do with our family. If it wasn’t trying to deal with a person and their struggle, it dealt with struggles of my own. It helps when we can just talk to the right person at the right time. There are times when that one person can give us the direction we need to make it through a struggle. I am always happy when I encounter that one who is able to help me go through those times. Of course, Christ is our help in times of trouble. He comes alongside and enables us to walk through the times knowing that He will be with us through whatever we face. This past Thursday morning I got a call from my sister, Becky. I said hello and she started crying. I asked her what was wrong and she told me – “Wendy is dead. She was killed in a car accident last Wednesday night.” I couldn’t believe what I was hearing. Wendy is my oldest niece. She was always a joy to be around when she was younger and even lived with my parents for a short period of time. Sadly, in recent years we have not been as close. She lived in Shawnee, OK. and was a teacher. Wendy has three children who are a lot of fun to be around. Her oldest is that full of life son. Her youngest two are her twin daughters. My heart is heavy as I consider the struggle they are going through at this time. This simply affirms that we never know the day or the hour when we will leave this life. We don’t always have the opportunity to prepare our hearts for the loss of a loved one. Even when we have time to prepare our hearts, it doesn’t make it any easier. Time after time in Scripture people were confronted with the death of a loved one. David lost a son that betrayed him, and he mourned (2 Sam. 18). The synagogue official had a daughter die and he came to Jesus (Mt. 9:18ff). Lazarus died and his sisters mourned (John 11) and even Jesus wept (Jn. 11:35). Mary Magdalene stood outside Jesus tomb weeping (Jn. 20:11). When death comes hearts are sad because of the loss and they seek peace in the midst of that time. When Jesus appeared to the disciples, He announced His presence by saying, “Peace be with you.” (Jn. 20:19, 21). Finding peace when a loved one has died is difficult. 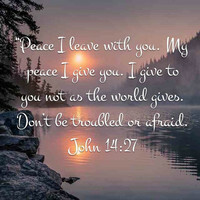 But as Jesus said in John 14:27 – “Peace I leave with you; My peace I give to you; not as the world gives do I give to you. 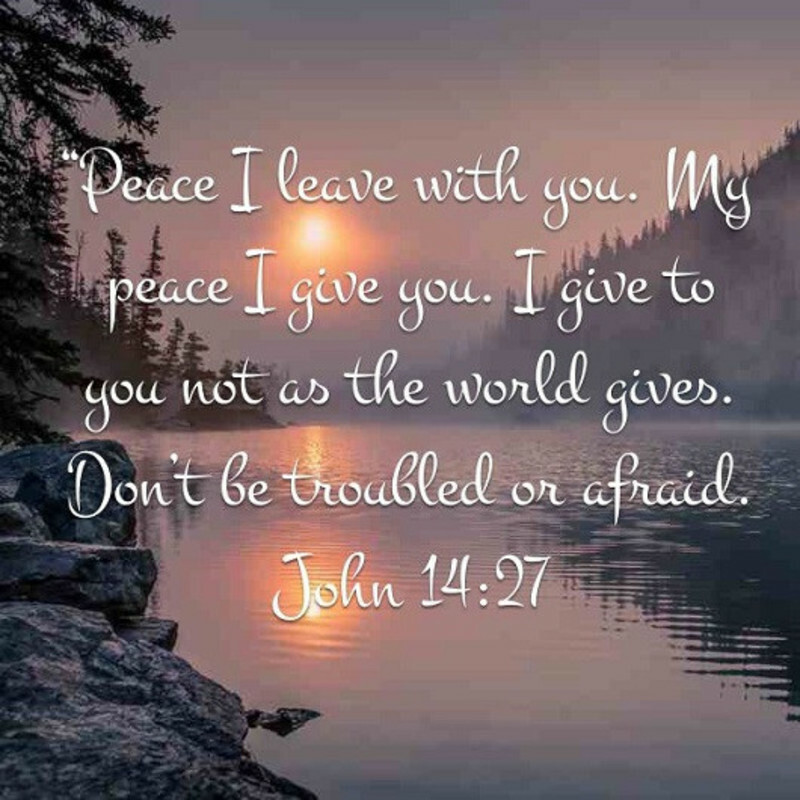 Do not let your heart be troubled, nor let it be fearful.” It is His desire that in the midst of our struggle that His peace be ours. Trust Him to bring His peace to you and let Him move in your heart.